Reports of sexual offences at Tyne and Wear schools are revealed in figures obtained by global children’s charity Plan International UK. 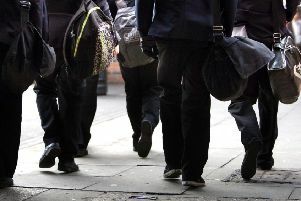 Northumbria Police classed 104 alleged incidents as sexual offences Northumberland and Tyne and Wear schools in the four years between 2011/12 and 2014/15. There were 17 reports of sexual offences on school premises recorded in 2011/12, 39 in 2012/13, 15 in 2013/14 and 33 in 2014/15.